Cartoon Network has appointed TLC as its licensing agent across France, Germany, Switzerland, Austria and Benelux. 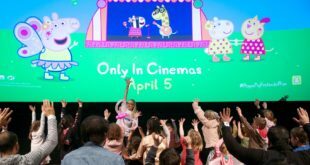 Under the agreement, TLC will be responsible for building and managing the official licensing programmes for the network’s portfolio of animated properties across the European markets. “Cartoon Network Enterprises owns a unique space in the entertainment licensing industry and their plans for the future and upcoming shows are very compelling,” said Melvin Thomas, CEO of TLC. Johanne Broadfield, vice president of Cartoon Network Enterprises EMEA, added: “France, GSA and Benelux are high potential markets for us.